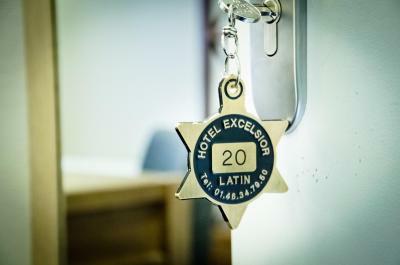 Lock in a great price for Hotel Excelsior Latin – rated 8.1 by recent guests! 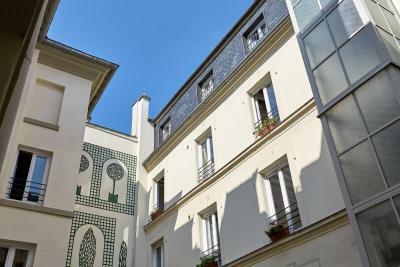 The location near the Sorbonne made getting to the major attractions on foot so easy. The hotel is located on a quiet side street so good for sleeping. Very neat and clean. Convenient. But what makes it unbeatable is its superb location. The location and price was perfect value. Loved the crisp and clean decor and the desk staff was nice. Lovely hot water and updated shower. Our wall blow dryer was broken so they happily brought us a plug in one for the weekend. Linens were crisp and clean. The location was great. 15mins walk to the Notre-Dame de Paris. And there are shops and markets near the hotel. 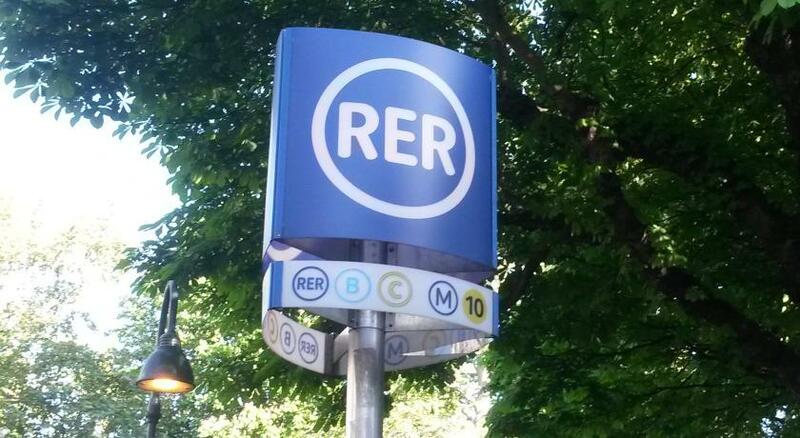 It is said that the 5th area is one of the safest areas in Paris and I think it may be true. Loved the bed and bed linen. Staff was extremely pleasant and helpful. The shower was terrific. We love this hotel! 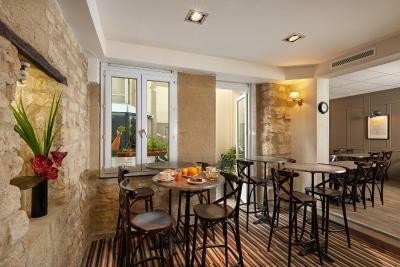 Hot beverages such as Coffee, Cappuccino, hot chocolate are free at their lobby. 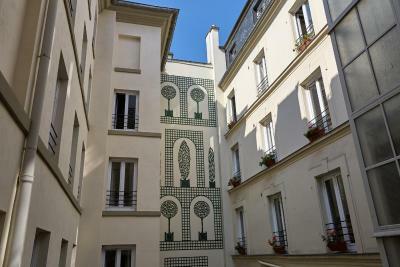 Next to Jardin de Luxembourg , nice neighborhood to walk around. The staff were nice as well. The elevator. 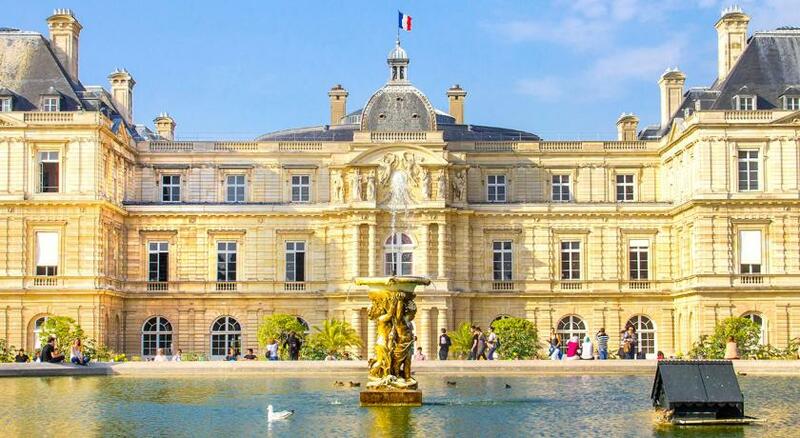 Closeness to Jardin du Luxembourg and Seine River and Notre Dame. Twin beds that made king size beds. 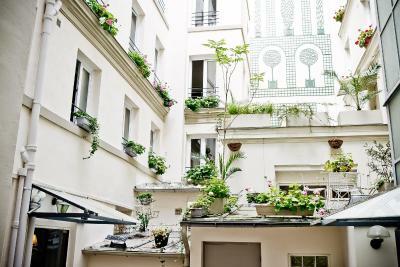 Latin Quarter. Setting up taxis to and from airport. The room was clean and quiet. The decor was super cute, too! 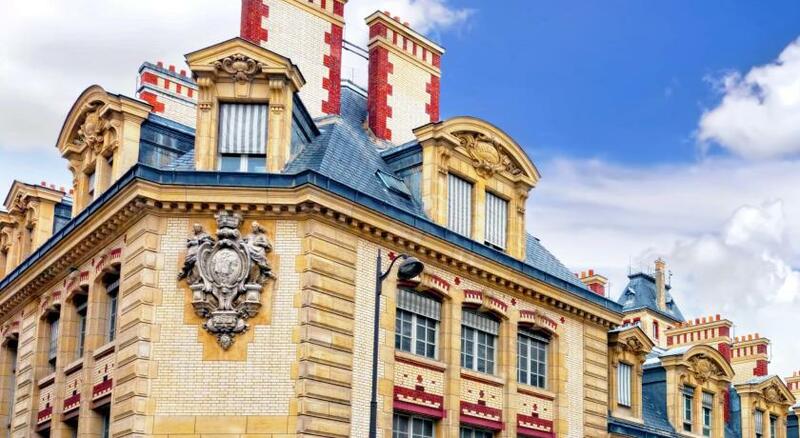 One of our top picks in Paris.Located 650 feet from the Luxembourg Gardens, the second largest public park in Paris, Hotel Excelsior Latin features 24-hour front desk and elegant, air-conditioned rooms and suites. 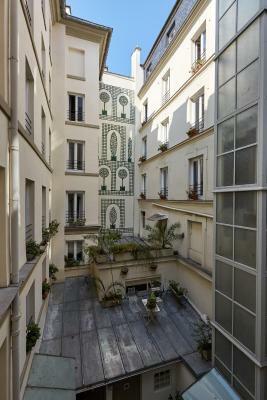 The hotel is a quarter mile from the famous Panthéon Church. 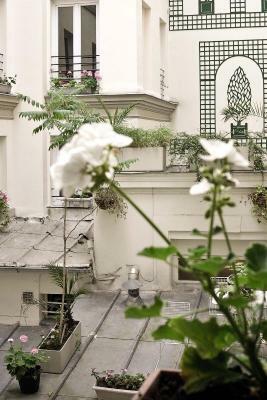 You can relax in the floral courtyard. 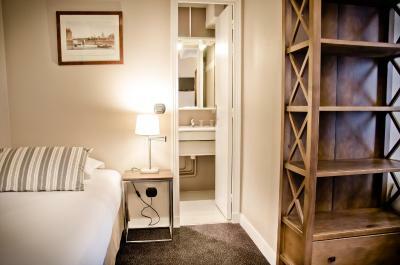 Other facilities are available such as luggage storage, a safe and a tour desk. 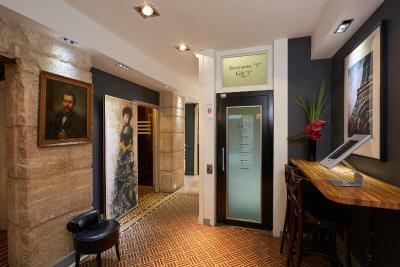 The hotel is just over a quarter mile from La Sorbonne and a 15-minute walk from Notre-Dame Cathedral. 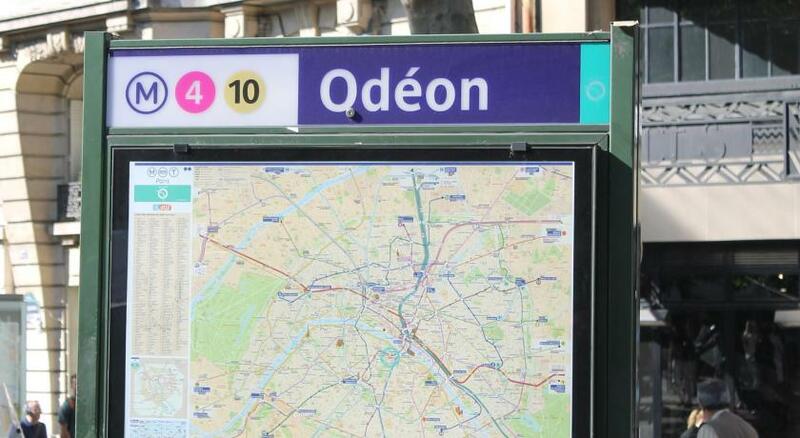 The Musée d’Orsay is just over 1 miles away. 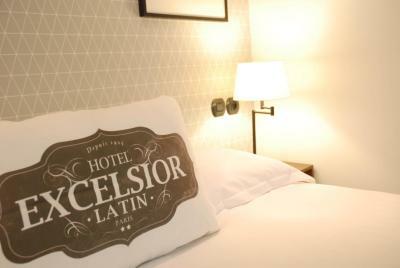 When would you like to stay at Hotel Excelsior Latin? 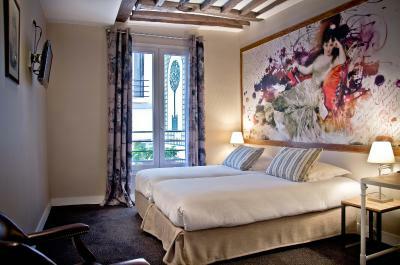 - the second one has a large king size bed (63 in by 79 in), with high comfort mattress. - own private entry and 2 flat-screen TV and air conditioning. 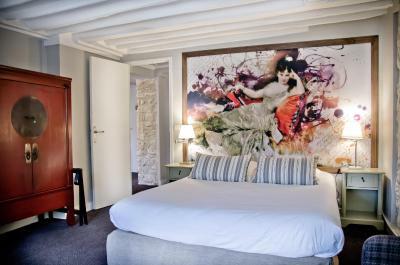 This air-conditioned suite has a cable, flat-screen TV and a private bathroom. 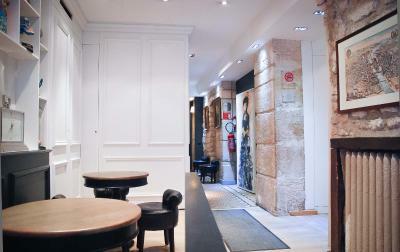 House Rules Hotel Excelsior Latin takes special requests – add in the next step! Hotel Excelsior Latin accepts these cards and reserves the right to temporarily hold an amount prior to arrival. 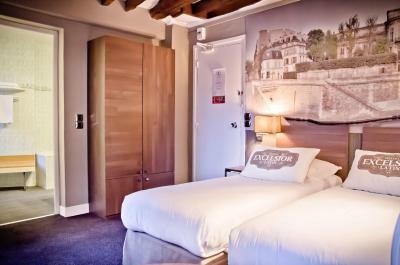 Lovely and clean, comfortable accommodation for our family of 5. Really liked having some self catering supplies in our room. Good layout and great having separate toilet and bathroom with 5 of us! 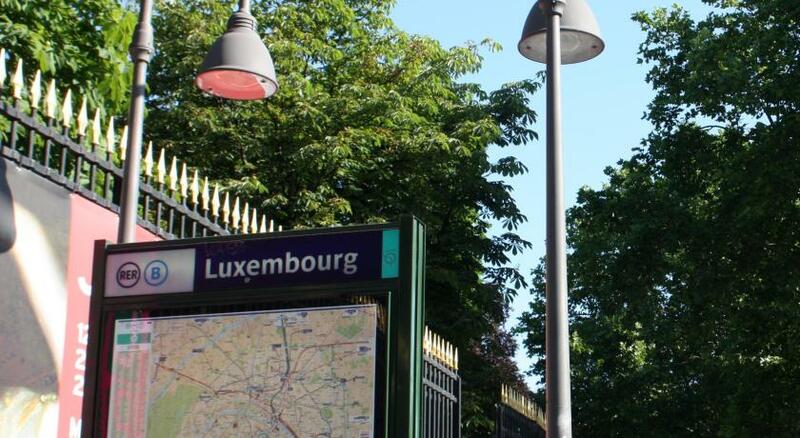 Good location for metro and tourist attractions. Friendly, helpful reception staff. Size of room quality of bedding and towels smallest room for 2 people I ever encountered. Addition hooks in the bathroom! No where to hang damp towels. I can hardly think of anything I didn't like. The staff were polite but not friendly. The room was pretty, and the location was quiet. Everything was wonderful except for the construction next door woke us up. The bathroom was a nice size, and the beds were comfy. I really appreciate that there was a luggage room but would have liked for it to have been locked and you ask for the key when you want to get in maybe? The only thing I can say is that there was no facility to make coffee or tea in our room. This is something I have come to expect in hotels but for some reason not here. Apart from that we Thoroughly enjoyed our stay at the Exelsior. 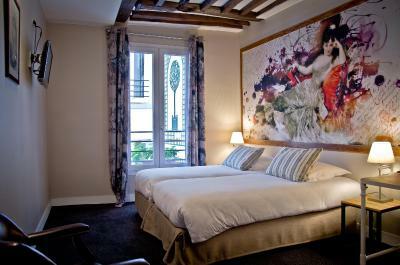 This is a lovely hotel and is situated within an easy to public transport in the Latin quarter of Paris. We had 3 single beds, each of which were comfortable. The room was clean and perfect for our needs. 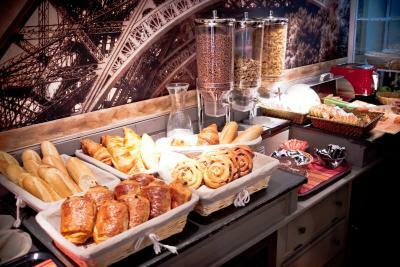 We also had continental breakfast which was reasonable at €10 per person. Great location. The staff were amazing and very hospitable. Nothing was a problem. Breakfast very nice. Lovely hotel. Lovely friendly staff. Brilliant location. We stayed with our three teenage children. We had two adjoining bedrooms. 1 double bed and 3 proper single beds. Little kitchenette in second bedroom to make a cup of tea in the morning. We'd go back again with no hesitation. 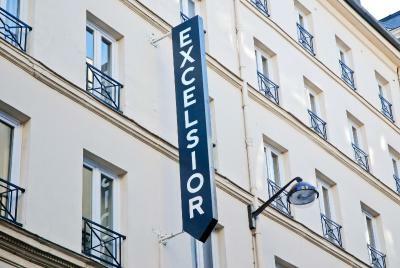 Our first ever trip to Paris was wonderful thanks to the staff at Hotel Excelsior Latin. They went above and beyond to help us find places and book events. 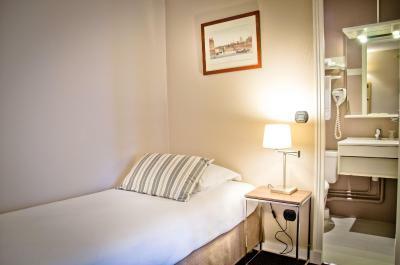 The room was clean and comfortable and in an excellent location. Lack of a kettle and tea / coffee facilities in the room was disappointing. Good location. Reasonable space in the room. Great amenities. We felt to man on the reception desk in the morning could have been a lot more welcoming. We felt like we were imposing on his time when asked for assistance. Great location. 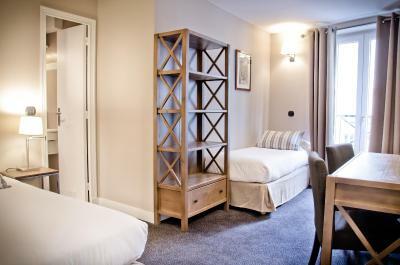 Within walking distance of numerous attractions. Safe area and the gentleman on the afternoon shift at reception was delightful and extremely helpful. The room was not so big but enough for 1 person. It's a little difficult to find a place to pack up a big suitcase though. The walls were too thin that I could hear my neighbors talking and even the water flow. And the wifi in the room was bad that I choose to use 4G in my room. Everything and everyone was pleasant. I loved my room this time. It was better than the one I had 3 years ago, which was just fine. That's why I returned to the Hotel Excelsior Latin. Thé location is ideal for my needs.